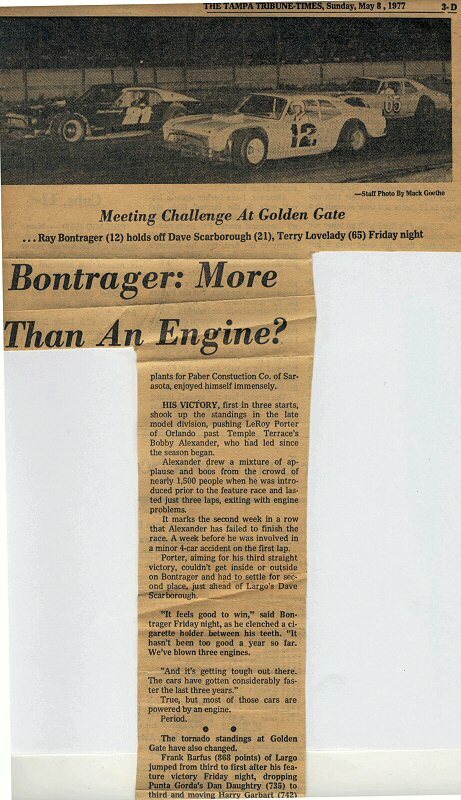 Articles & Programs / Ray Bontrager, Tampa Tribune Article, 1977. Photo Provided By Jodie & John Clark Collection. Ray Bontrager was competitive amongst the locals around central Florida. Comment by Jodie & John Clark.